Time for another inspiring travel interview in my World Travellers Series. Today we meet Brian Barry and Noelle Kelly – a cool Irish couple on the road since 2009, sharing their stories and wisdom here on Don’t Stop Living and through their own site Wandering On. 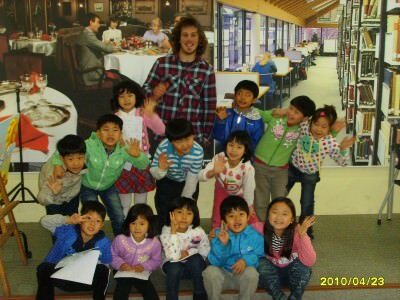 World Travellers: Brian from Wandering On teaching English in Korea! We are an Irish couple, Brian Barry and Noelle Kelly. We left Ireland back in August 2009 and have been tripping around since. Ireland is home for both of us, Brian from Cork on the south coast and Noelle from Thurles, Co. Tipperary. Before we met we had each had our own travel experiences. Noelle had inter-railed around Europe, and lived in New York as well as taking trips around Europe, Brian had also travelled around western Europe, lived in Hawaii and California and bought a round the world ticket taking in Thailand, Australia, Fiji and Hawaii. We started doing trips around Ireland in our self-built campervan eventually taking it around France and northern Europe. After that we decided to do something bigger and thought we would live in South Korea for a year teaching English, save money, do the South East Asia loop and then travel onto Oz to get work on the working holiday visa. Four years later and we still haven’t reached Australia. Instead we’ve used Korea as a base to explore Asia visiting China, Japan, The Philippines twice, Thailand twice, Singapore, Indonesia three times, as well as travelling all over Korea. 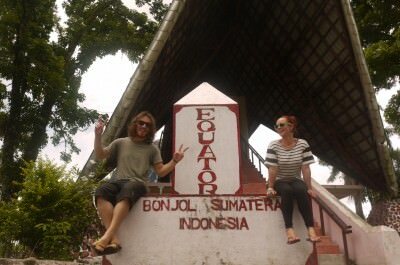 We’ve just finished a fourteen month trip through Nepal, India, Sri Lanka and Sumatra and our feet are itchy again! Currently we’re living in Daejeon, South Korea working as English teachers, saving and planning for our next big trip. Leh, in Northern India. It’s a really unique place and there’s a great vibe there, plus we mountain biked down from the world’s highest motorable road pass which was an amazing buzz! El Nido, northern Palawan in the Philippines. Just a really chilled spot in a really dramatic setting with these huge limestone cliffs surrounding the bay. Kathmandu, Nepal. It’s a crazy city, so busy but there’s a great atmosphere and the locals are super friendly. World Travellers: Barry and Noelle at the top of the Cho La Pass. There have been a lot of really memorable moments but I think for both of us the one that stands out above all the rest is reaching Kala Pattar on the Everest Base Camp Trek. It’s a peak at an altitude of 5,555metres you climb up above the Base Camp to get the best view of Everest itself. You get a 360 panorama of the surroundings, we were on such a high there, we pretty much skipped back down the mountain we were so happy! This one goes to Noelle. While inter railing in Europe she got really sick, then had all her money stolen from under her bag while she was asleep on the train and then to top it off she was standing in the next station to buy her onward ticket, saw her money was gone and still really sick, fainted in the middle of the train station! World Travellers: Noelle from Wandering On in Leh. Taking the first train out of Agra in India, Noelle was in stitches, she’s shaking me, waking me up and pointing out the window. “Look, look”, I didn’t know what she was talking about and then I saw it just a line of lads taking a dump along the side of the tracks, chatting away to each other, all they were short was the morning paper. We spent the next hour in hysterics, counting the lads out for their morning poo! Childish but undoubtedly hilarious! World Travellers: Barry and Noelle from Wandering On at Kalla Pattar. We crossed the Cho-La pass while on the Everest Trail but did it alone; we didn’t know where we were going or what we were doing. We had to shimmy around the edge of this glacier, looking down you were looking into an abyss. The ‘path’ was wide enough for one shoe and with backpacks on it was very dangerous, one wrong step and we were dead. But we got through it, crossed the pass and went down the other side where again we went the wrong way and only for someone way in the distance roaring at us we would have walked over the edge on the trail and been done for. Eventually we made it down and continued hiking til after dark and finally made it to the next village. When we walked into the teahouse the guy who had roared at us had this ‘Thank God’ expression on his face, because it had gone so late and there had been no sign of us he had thought the worst. We’ve really ever only taught English as a job while travelling. Brian sold vacuum cleaners door to door in Hawaii for a few days before realizing it was too tough a sale as nobody in Hawaii has carpets! We work teaching English in Korea, save, travel and then come back and work again. While we’re living in Korea we are also able to take holidays and travel around Asia. We are working on some ideas to make an income online so we would have total freedom to travel where and when we want. Use a guide book but don’t rely on it. It’s a GUIDE book. Spend time places and get to know them. Don’t just fly by on a whistle stop tour. Stop talking about it and just do it. We hate when people say “I’d love to do what you’re doing”, if you would really love to be doing it, then do it, make a plan and go somewhere, anywhere. World Travellers: Brian and Noelle on Komodo island with the dragons in Indonesia. For our next trip we are currently trying to decide between southern Vietnam or Myanmar. When we finish in Korea we have China, Central Asia, Eastern Europe and South America all on the radar so who knows where we’ll end up but that’s what makes it exciting! 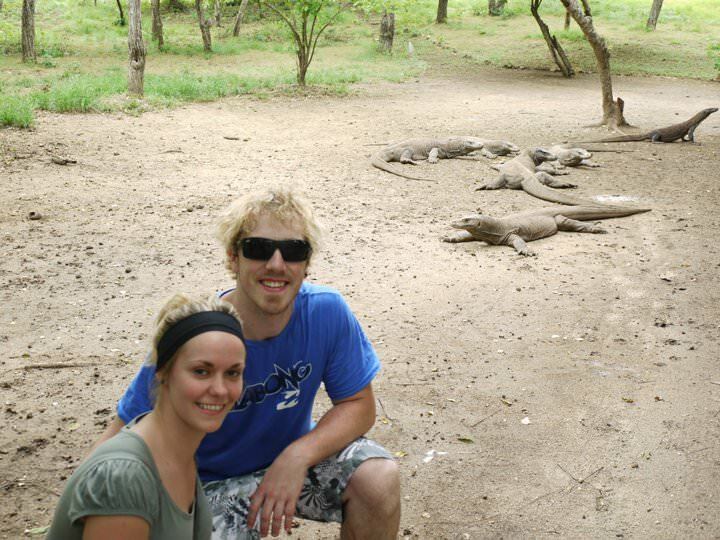 We are Brian and Noelle, an Irish couple, who have left our homes behind us as we set out to live a life of travel. We have built our lives around the idea of visiting as many countries and experiencing as many different cultures as we can. Through our website we want to share our travel stories, photos and tips with you as we continue wandering on. Thanks to Brian and Noelle from Wandering On for being the latest in my series of World Travellers! If you travel the world and run a travel blog or are a travel writer, please get in touch, you can be featured (there’s a HUGE waiting list at present), either e-mail jonny (at) dontstopliving (dot) net or head to my contacts page and get connected! You can also subscribe to Don’t Stop Living by filling in the form below! Safe travels!